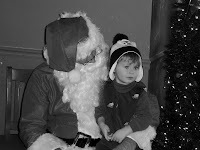 This entry was posted in Uncategorized and tagged CHRISTMAS, Hickory Mom Blogger, Hickory NC. Awww, I love your pictures! I hope that you had a very Merry Christmas.